The Thai Poosa Festival this year will be observed on Tuesday, 3rd February 2015. 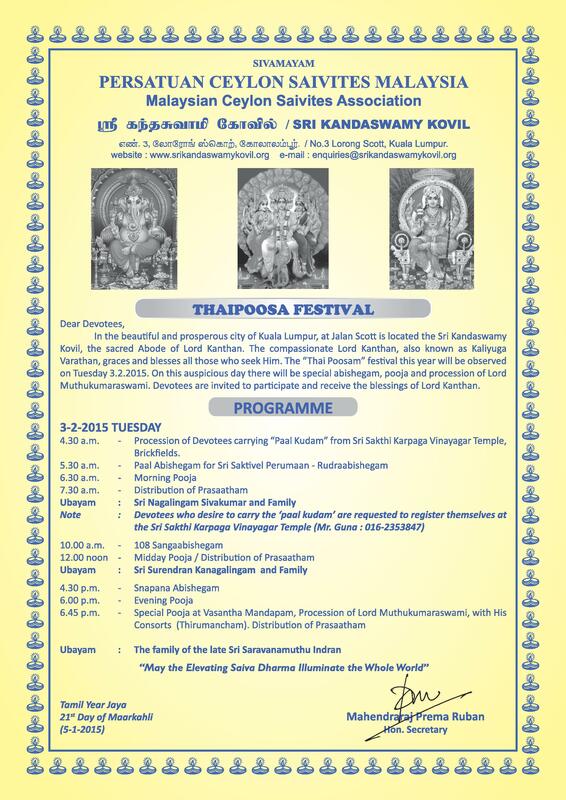 On this auspicious day there will be special abishegam, pooja and procession of the Lord Muthukumaraswami. 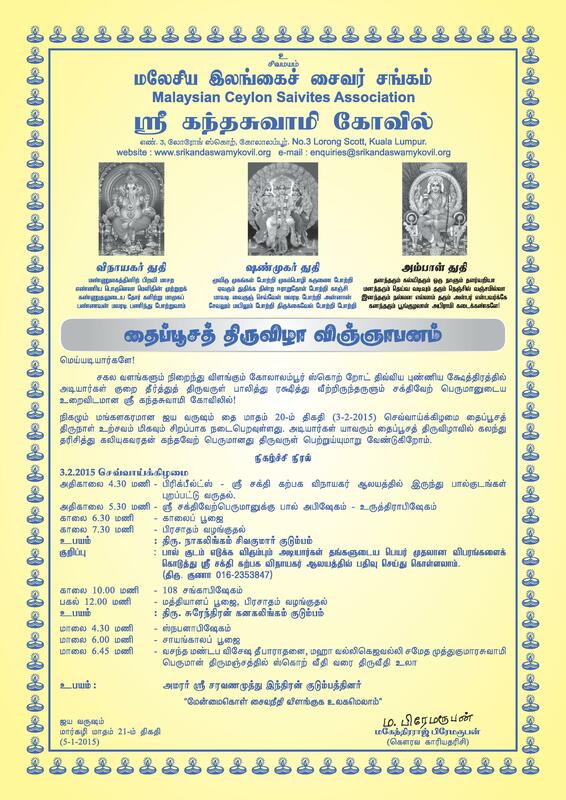 We invite all devotees to participate in the festival and receive the blessings of Lord Kanthan.